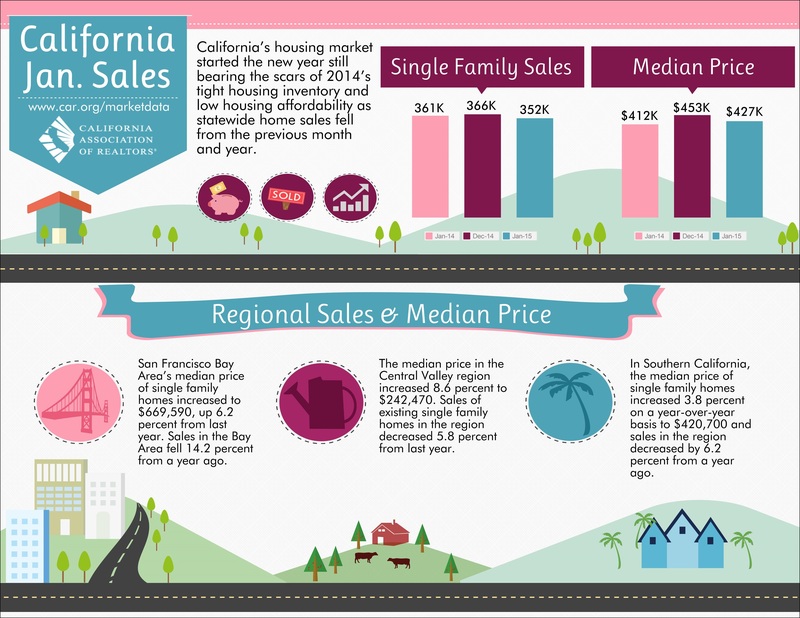 The median home price in California continued to climb on a year-to-year basis for the fifth straight month, recording the highest mark in almost four years at $333,860 in July 2012, as compared to $320,540 in June 2012 and $296,160 in July 2011. The recent increase in the median price was attributed primarily to the change in the mix of sales. Sales in the Inland Empire and the Central Valley region, where REO properties dominated, have been negatively impacted by a shortage of inventory. On the other hand, housing markets in the Bay Area and in Orange County, where many high-priced homes were sold, experienced double-digit year-over-year gain in sales. Because of the lack of inventory in the bank owned/REO market, sales demand in lower-price segments have been experiencing minimal or even negative growth, while sales growth in the higher priced segments remained strong as mortgage rates continued to decline throughout July. Sales for homes priced under $200k, for example, dropped more than 9 percent from July of last year, while properties priced above $500k increased nearly 28 percent. As a result, the market share of homes sold under $200,000 dropped from 35.3 percent in July 2011 to 29.7 percent in the same month this year. Meanwhile, the market share of homes sold above $500,000 jumped from 22.3 percent to 26.4 percent. This shift in the market share ultimately led to an increase in the median price as more expensive homes were sold. While the change in the mix of sales was the primary factor in the recent price movement, the tight conditions in housing supply also exert upward pressure on prices. The level of unsold inventory has been declining on a month-to-month basis since the beginning of 2012, and was down 30 percent from July of last year. The decrease was more pronounced in the lower-price segments than the upper-priced segments, with inventory for homes priced under $200k declining 37 percent from last year, as compared to 24.4 percent for inventory priced above $500k. This was due in part to the lack of supply in bank-owned/REO properties, as REO inventory dropped by more than half from the same time last year. In July, the overall unsold inventory was at 3.4 months, as compared to 5.6 months a year ago. With inventory expected to remain significantly below the long run average of 7.2 months in the near future, the median price will likely see upward pressure for the next several months. And there you have it! Hopefully this report will help shed a little light on what is happening in the larger world of California real estate, not just our little world here in the Santa Maria Valley! For more information, stay tuned to this blog, or feel free to give me a call at (805)937-5777 or send an email! Unique New Listing for Sale! I’m really proud of this classic traditional beauty in Foxenwood that I just listed! The owners of this home didn’t just give an old home a face-lift; they completely renovated it from top to bottom, and added a great room, another bedroom upstairs with its own bath, a lovely master suite on the main level, and an over-sized 3 car garage! The kitchen has been extensively redone, with granite counters, designer backsplashes, solid alder cabinetry with a dark cherry stain and of course, all stainless steel appliances! So many details that I will simply add a link to the listing on my website. Check it out — it’s gorgeous! I have lots of photos on my website that will give you a glimpse into this highly upgraded home. Oh, and it is a regular sale, not an REO or a short sale, and it’s located within the distinguished Orcutt School District and is an easy commute to Vandenberg AFB! A weak economy and stringent financing conditions contributed to a slowdown in California home sales and median price during May, C.A.R. reported today. Home sales in May declined 5.8 percent from April and 14.4 percent from the previous year. Closed escrow sales of existing, single-family detached homes in California totaled a seasonally adjusted annualized rate of 471,840 units in May. The statewide sales figure represents what would be the total number of homes sold during 2011 if sales maintained the May pace throughout the year. It is adjusted to account for seasonal factors that typically influence home sales. The statewide median price of an existing, single-family detached home sold in California also edged down in May to $291,760 from a revised $293,800 in April. May’s median price was down 10.9 percent from the $327,460 recorded in May 2010.